Bangkok is often called the Venice of the East. Its river, the Chao Praya, is likened to the Grand Canal and the klongs that weave through the city are compared to the network of waterways in Venice. In ancient times, life centred on the Chao Praya. The first settlers established villages on the banks of the river and its waters sustained them. When King Rama I moved the capital of Thailand to Bangkok in 1782, the Chao Praya and its klongs became vital means of transport, communication and commerce. His Grand Palace, of course, was built in pride of place, at the heart of the city on the banks of the Chao Praya. While the Chao Praya is no longer the vital commercial hub it once was, it is still teems with life. Ferries criss-cross from bank to bank, tourist boats chug up and down, barges and houseboats sail slowly by. The banks of the Chao Praya, too, are always busy. Sightseers stroll, patient fishermen keep watch with nets or poles, and small boys dive and splash. River tours are wonderful way to explore Bangkok. Not only does the river offer a different perspective on the city, but its quieter, cooler and generally much more relaxing down there. 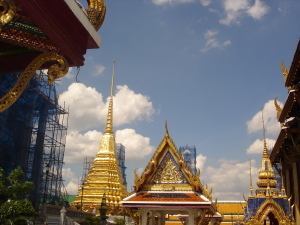 There are innumerable Chao Praya Tours on offer. 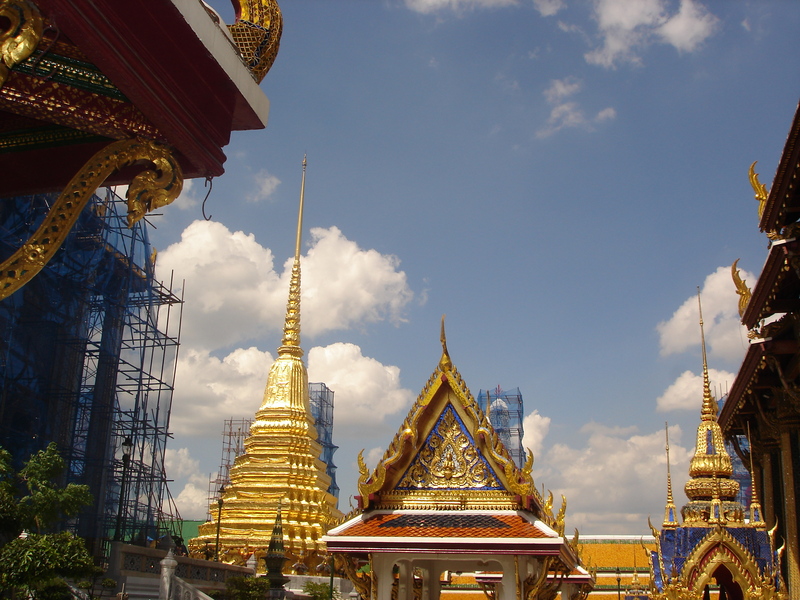 One day I took the ferry from Wat Pho, packed onto the deck alongside families with bare-bottomed babies, housewives with armfuls of baskets, uniformed schoolgirls and men with bicycles. We docked on the other side at the Temple of Dawn and I meandered along the river to the Oriental Hotel, where I sat with a drink and watched the river. One evening I took a dinner cruise on an old rice barge which smelled of timber, oil and fragrant Thai cuisine. As we sailed along, the brightly lit turrets of the palace, open air aerobics classes, swimmers, fishermen and promenaders, slid by. On board as we worked our way through the countless courses of a traditional Thai dinner, a group of beautiful dancers entertained us. Another afternoon, I took a smaller, humbler barge into a tributary of The Chao Praya. Here, Bangkok was definitely the Venice of the East. Narrow wooden houses on tall stilts sat close to the river’s edge, each with their little jetty and their rickety staircase leading up to the back door. Long boats, selling fruit and souvenirs drew up alongside. As we made our way back to the wharf, our host served an afternoon tea of local fruits and juices. Delicious! When in Bangkok, don’t fail to get out on the river.